What makes it special: Dodge released the Lil’ Red Express Truck in 1978, and it was one of the most unique Dodge trucks that had ever been produced. The Lil’ Red Express was not only a real looker but these trucks were also real performers also. Because of a loophole in the emissions regulations the 1978 Dodge Lil’ Red Express Truck’s did not have catalytic converters, what the Lil’ Red Express did have was a special High Performance 360 cu in 4-barrel small block engine code EH1, which was a modified version of the E58 360 police engine producing 225 net horsepower @ 3800 RPM. The package also included Hemi style mufflers with a crossover pipe breathing through 2 chrome stacks located behind the cab, a special 727 transmission and 3.55:1 rear gearing. What made it famous: With the success of the 1978 Dodge Lil’ Red Express Truck production of the 1979 Dodge Lil’ Red Express Truck’s was increased. Most of the features remained unchanged for 1979 however there was some changes which included a catalytic converter, unleaded gas, 85 MPH speedometer. 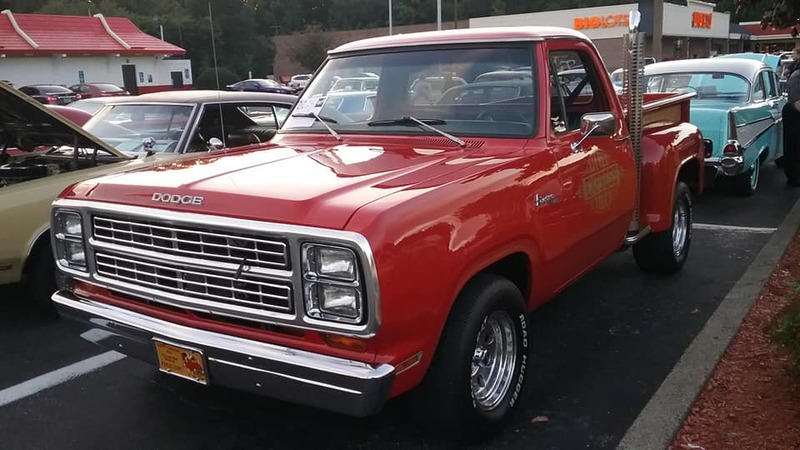 The most noticeable changes on the 1979 editions was the new flat hood and dual square headlights replacing the round versions on 1978 Dodge Lil’ Red Express Truck’s and the 1979’s rode on LR60x15 raised white letter tires on 8-inch chrome wheels on all 4 corners. Why I would want one: It’s a straight-from-the-factory hot rod pickup. Totally cool. Fun fact: In 1978 The Dodge Lil’ Red Express was the fastest American made vehicle from 0 to 100 MPH as tested by Car and Driver magazine.